Last December Canada Post announced it was phasing out door-to-door mail delivery. Soon mail will have to be picked up at community boxes. According to Canada Post CEO, Deepak Chopra, "..seniors want the exercise and fresh air.." Welcome back to the 1800's, Canada. Next time you spend $858 million on a G20 Summit, you can use the opportunity to talk about basic services Canada can't afford. I remember when I wrote letters. I remember when I got them. It makes me sad to think the simple joy of getting a personal letter in the mail could soon be gone, unappreciated and taken over by Amazon parcels and tax statements. 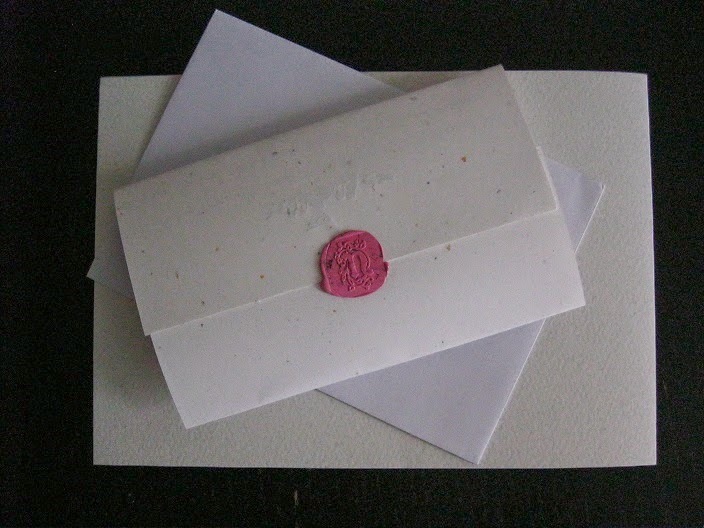 But by chance, when I was in Paris last January I saw a stamp to make a wax seal-- and bought it. It's elegant, like Paris, and the wax smells like roses. Every week since then I've been eager to write letters. In fact, I get so much enjoy sealing that initial, my initial, over them I think when I'm elected Prime Minister of Canada, I'll make it mandatory. Profits from wax alone could solve the budget problem. And for days when I'm stuck looking blankly at the computer, it's certainly a great way overcome writer's block.